27 | May | 2010 | can i just finish my waffle? “The American people should know that from the moment this disaster began, the federal government has been in charge of the response effort,” Obama said. 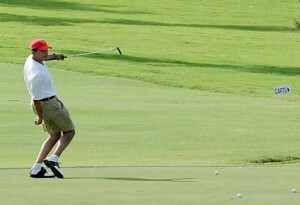 He was reacting to criticism that his administration has been slow to act and has left BP in charge of plugging the leak. 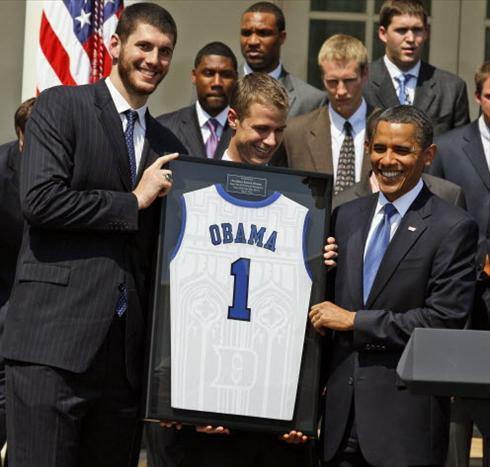 The team presented Mr. Obama with a framed Duke jersey. But did you plug the hole yet, Daddy? Common Sense can save America.